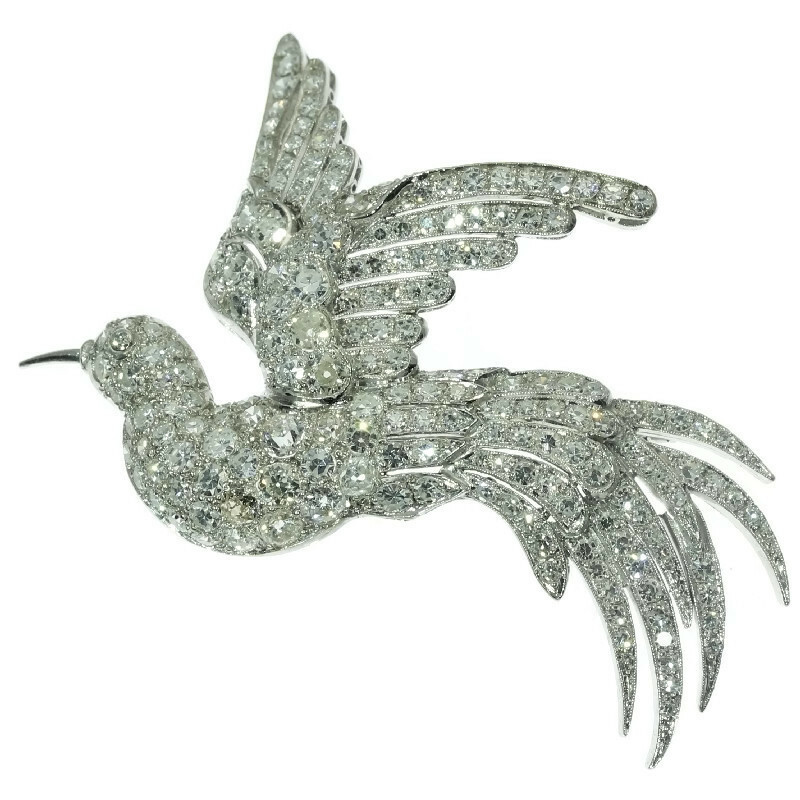 Estate diamond brooch from the fifties bird of paradise: Description by Adin Antique Jewelry. This platinum Estate brooch resurrected as a bird of paradise from the fire of 199 azure-set diamonds in old European and single brilliant cut. In full flight, the shimmering feathers of its wings and long tail are meticulously distinguished from one another to help steer its soul straight to its new wearer. Diamonds: 11 old European cut diamonds with a total estimated weight of approx. 1.11 crt. and 188 single brilliant cut diamonds (also called 8/8) with a total estimated weight of approx. 3.45 crt.